Join Max Katz, Appery.io developer evangelist, for this quick review of how to build a Windows 8 app using the Appery.io app builder. Then, in an expanded Q&A session, Max will hold “office hours” to answer any questions you might have about Appery.io. Appery.io new HTML5 app builder has been the default builder for the past couple of weeks and we continue to update it with new features. One such feature is new Windows 8 support. In addition to jQuery Mobile/PhoneGap apps, you can now build Windows 8 apps with native support such as Snap View, Search Charm, Share Charm, and Live Tile. To create a new Windows 8 app, click the “More create options” link from the Apps page and then select Windows 8 App as the app type. 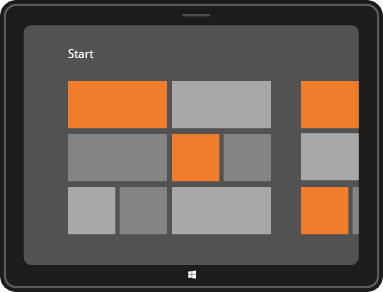 Try our Windows 8 app tutorial. We also upgraded to a much better jQuery Mobile version 1.2. If you use Appery.io Mobile App Tester for Android – go and grab an update so it also uses the latest PhoneGap version. A long requested feature – Push Notifications feature has been added to Appery.io Backend Services. Want to try it? Try our new Push tutorial. Build this app and learn how the app builder is fully integrated with backend services. The latest Appery.io mobile app platform allows you to build Windows 8 apps for tablets and desktops with native Windows 8 support. This support includes special Windows 8 capabilities such as Snap View, Search Charm, Share Charm, and Live Tile! Join our webinar to learn how build Windows 8 apps with Appery.io. Do keep in mind it’s still a beta so some features might now work yet.